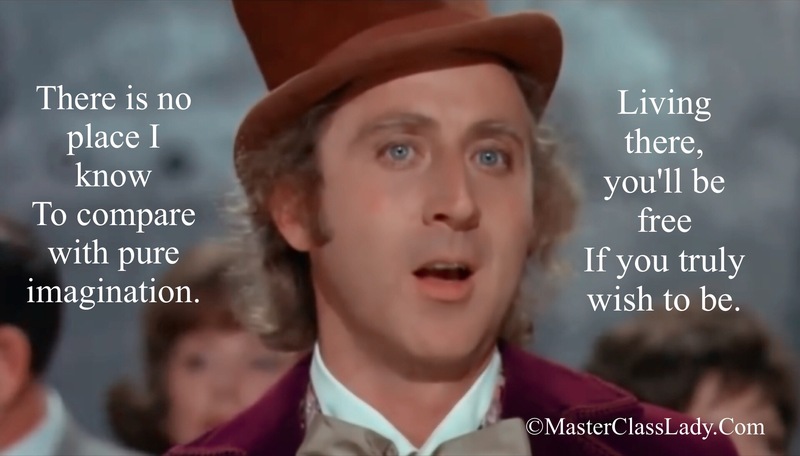 MasterClass Monday: Gene Wilder Singing Pure Imagination Is Pure Joy, Pure Inspiration. How sad to hear of the passing of yet another entertainment legacy – Gene Wilder. Mr. Wilder died on Monday, August 29th (my dear father’s birthday) of complications related to Alzheimer’s Disease. He was known and celebrated as one of the great character actors of our time, having starred in Willy Wonka, Young Frankenstein and Blazing Saddles. However, I have always adored this song from Willy Wonka, “Pure Imagination“. The music and, in particular, the lyrics, have always inspired me in my musical career. It gave me permission to turn my imagination into veritable musical projects. The mind is a powerful tool and one which all of us should embrace in every profession. Positive and life-changing ideas culled from one’s imagination should be set free, unleashed on the world. With this is mind, let us celebrate Gene Wilder’s life by listening to this song. Enjoy. My deepest condolences to Mr. Wilder’s family and friends. R.I.P. Gene. I was so sad to hear of Gene Wilder’s death–thank you for a lovely memory! Really Hunter? Well then your birthday is the same day as my granddaughter’s!! Awesome! And Happy Birthday to YOU! mcl! yes!! 🙂 🙂 thank you! and happy day to your granddaughter. nice that she and your dad have such close birthdays. I will also join in the Birthday party! My Grandson’s birthday is August 28th. He’s my sunshine boy. Happy Birthday to all others (here or in “Heaven”).. I also loved Gene Wilder’s films. He makes comedy look so easy. Thank you ReReader for the link! I grew up watching Gene Wilder. He was so talented! Thanks for sharing the beautiful video of his singing!